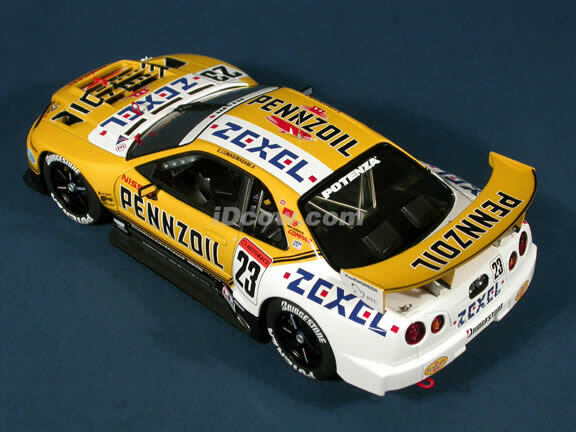 2001 Nissan Skyline GTR R34 JGTC #23 Pennzoil Nismo diecast model car 1:18 scale die cast by AUTOart. Launched in 1994, the All-Japan Grand Touring Car Championship (JGTC) has grown to become the biggest race series in Japan in terms of participants, with the entry of 40 cars attracting motor sports fans from across the country. 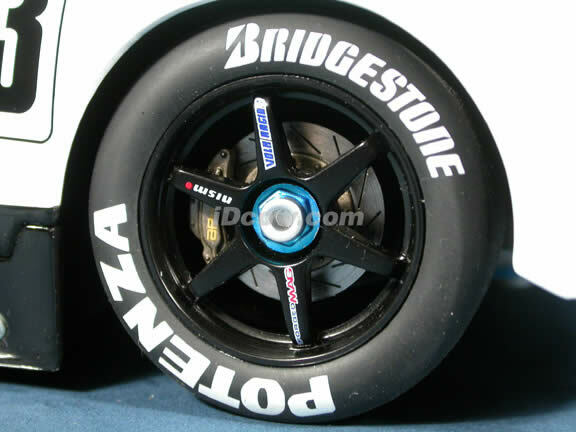 As the event is held as a semi-endurance race, the strategy utilized for the routine stop to change driver and tires and to refuel plays a very important part in determining the outcome. Overseeing the JGTC series is the Japan GT Association (GT-A), which works to ensure that from start to finish every race offers truly exciting battles in every lap. This is a very highly detailed 2001 Nissan Skyline GTR R34 JGTC #23 Pennzoil Nismo diecast model car 1:18 scale die cast by AUTOart. Every details are well put together. Great collectible or gift piece. 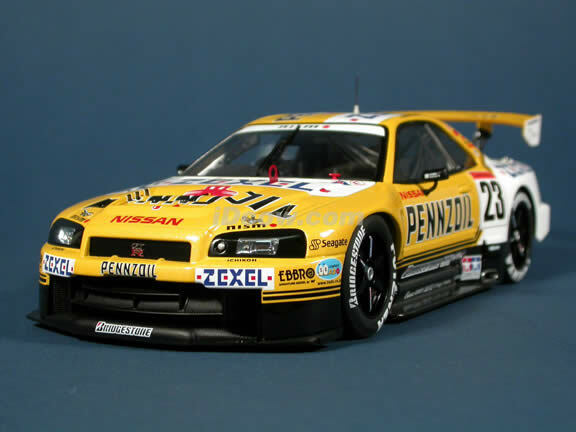 2001 Nissan Skyline GTR R34 JGTC #23 Pennzoil Nismo diecast model car 1:18 scale die cast by AUTOart is one of the best showcase model for any auto enthusiasts.